Pedal your way to a healthier heart? People who routinely commute via bike or cycle for pleasure have a slightly lower risk of heart disease than nonbikers, two new studies suggest. One study, in the Nov. 1, 2016, Circulation, tracked about 45,000 Danish adults (ages 50 to 65) who biked regularly, either to commute to work or for recreation. Over a 20-year follow-up, the cyclists had about 15% fewer heart attacks than noncyclists. Even as little as half an hour of biking per week offered protection against heart disease, the study authors found. The other report, in the November 2016 Journal of the American Heart Association, found that middle-aged or older Swedish adults who biked to work were less likely to have conditions that raise heart disease risk, including high blood pressure, high cholesterol, or prediabetes, compared with people who used public transit or drove to work. Both studies were observational, so they don't prove that cycling (and not some other unmeasured factor or habit) led to the lower risk. 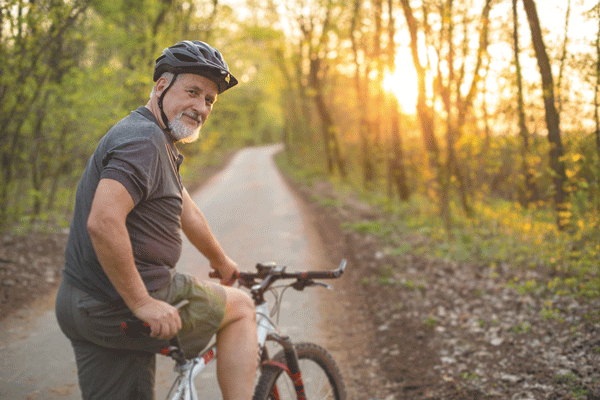 But as an alternative to other forms of aerobic exercise, biking may be an appealing way for some people to strengthen their hearts, the authors note.